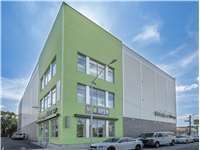 Located at the corner of Cypress Ave and Centre St, Extra Space Storage serves residents of Ridgewood, Bushwick, Liberty Park, Glendale, Cypress Hills, East Williamsburg, and more. Locals will recognize our facility next to Shell and Intermediate School 77. 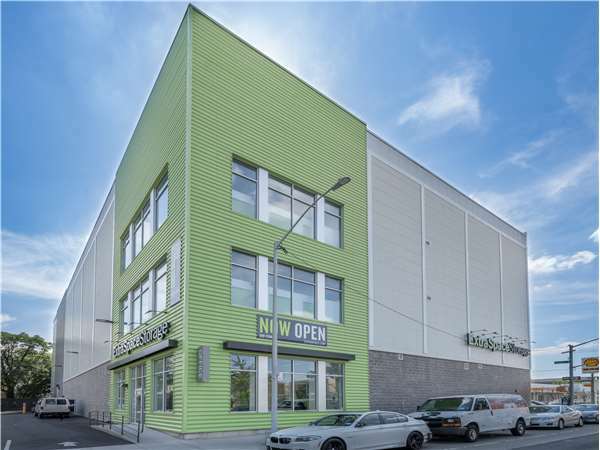 Extra Space Storage on Cypress Ave can accommodate residential and commercial storage needs in Ridgewood with a variety of storage units, climate-controlled storage, drive-up access, and more! No matter what you plan to store, our Ridgewood storage facility has the perfect storage space for you! We have unit sizes as small as 5x5 and as large as 10x25 with features like drive-up access, first-floor access, and elevator access for your convenience. You can store valuable items with confidence at Extra Space Storage. Our Cypress Ave storage facility is equipped with security features like 24-hour video surveillance and electronic gate access. Protect sensitive belongings from extreme heat and cold in Ridgewood by renting a climate-controlled unit. With climate control, your storage unit stays comfortably between 55 and 80 degrees at all times. Make trips to your self storage unit quick and easy with the convenience of drive-up access. This amenity allows you to pull your vehicle up next to your unit for hassle-free unloading and loading. At Extra Space Storage, we take pride in ensuring our customers get a high-quality storage solution backed by excellent service. From our secure, well-maintained storage facility to our friendly, professional team, we'll go the extra mile to deliver a positive self storage experience. 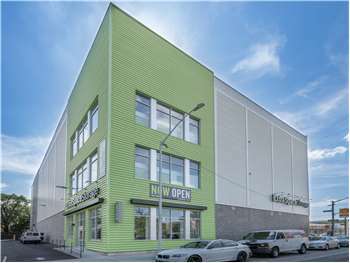 Contact us today to reserve a storage unit in Ridgewood! Self Storage, Moving & Packing Supplies, Boxes. Drive southeast on Cypress Ave. Pass Myrtle Ave and continue southeast. Our facility will be on your right at the corner of Centre St.
Drive northwest on Cypress Ave. Pass Cooper Ave and continue northwest. Our facility will be on your left at the corner of Centre St.
Drive west on Myrtle Ave. Turn left onto Stephen St. Turn right onto Cypress Ave. Our facility will be on your left at the corner of Centre St.
Drive east on Myrtle Ave. Turn right onto Cypress Ave. Our facility will be on your right at the corner of Centre St.